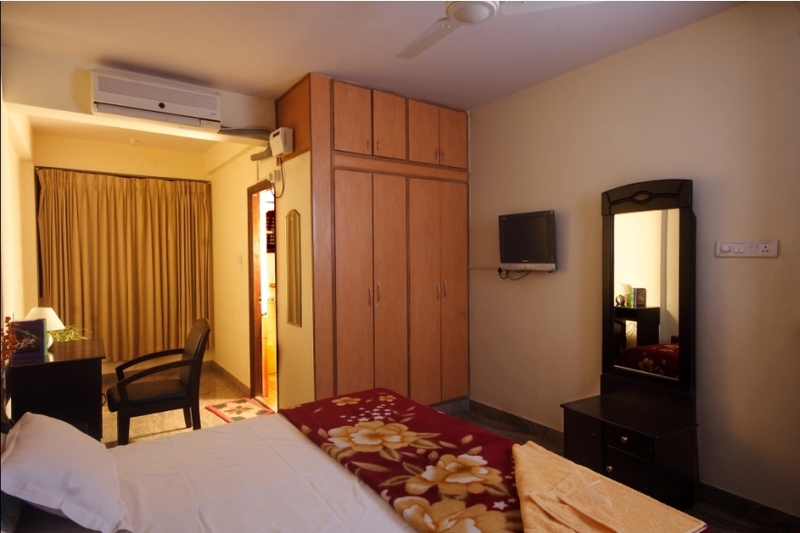 Good to 2 adults + children, A/C room, free WiFi. 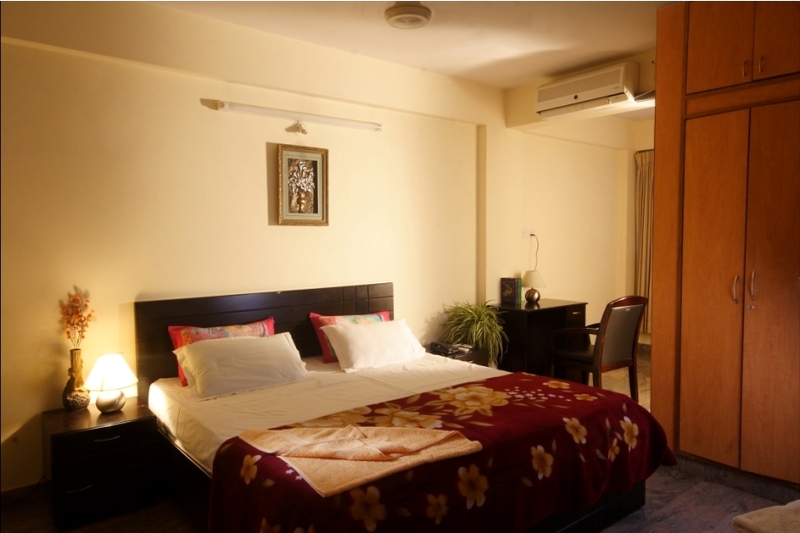 Good for 4 adults + children, A/C Rooms, free WiFi. 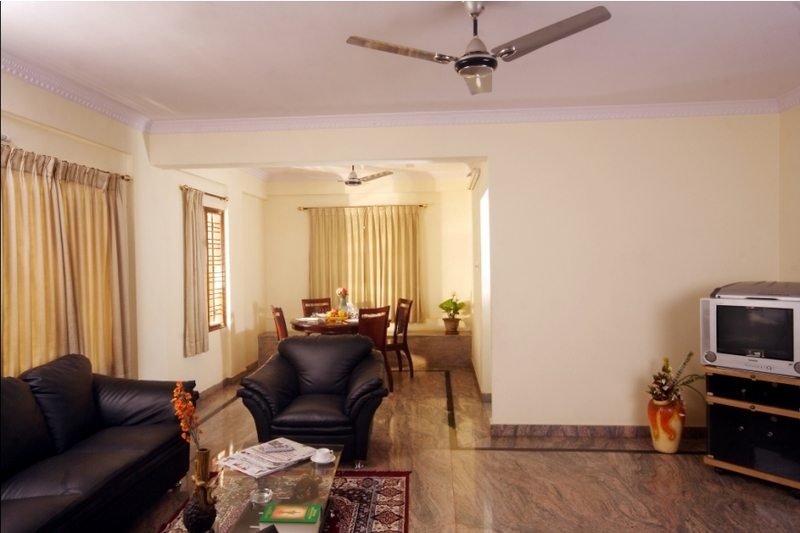 Homestay Serviced Apartments in Bangalore, India, welcomes you to the world of executive luxury and elegance. 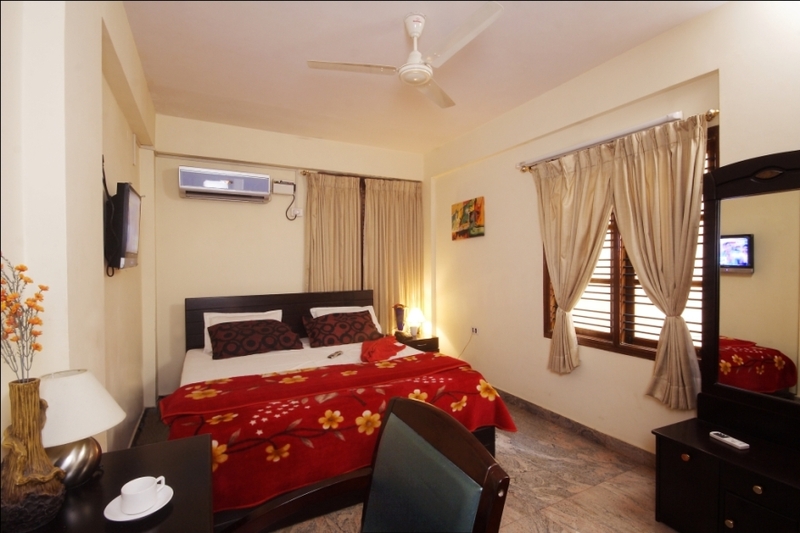 Budget accommodation in Bangalore is no longer a difficulty as we provide you with finest and well-resourced luxury service apartments inside Bengalore city at a reasonable rate for short/long term stay. 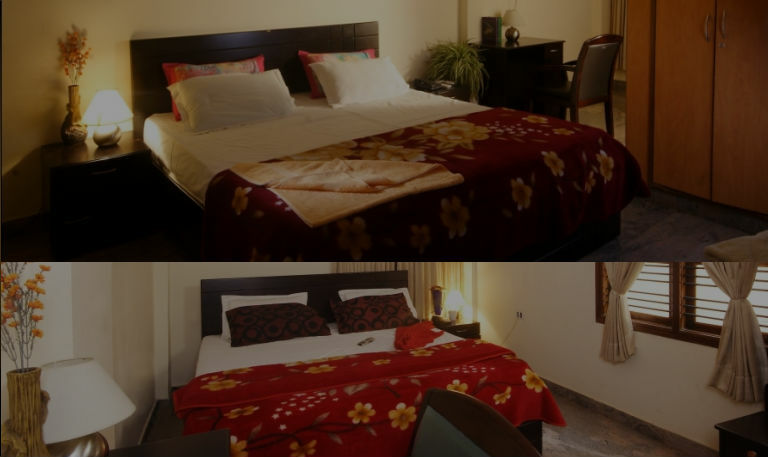 This includes one bed room flat and two bed room flats, exclusively designed to cater the requirements of our customers. 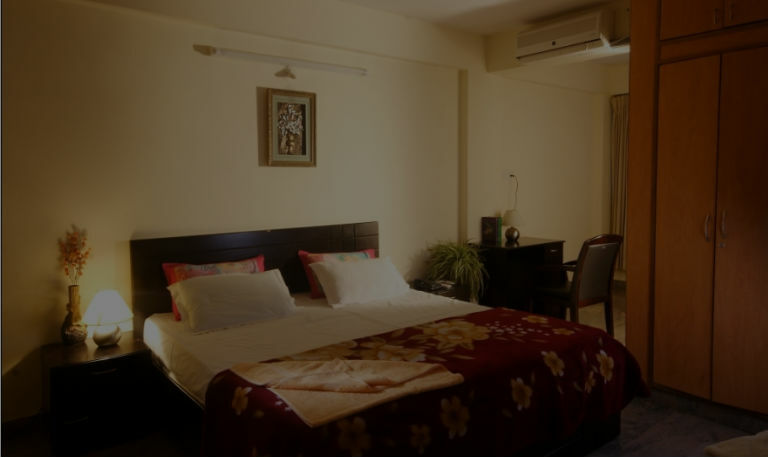 Homestay Service Apartments near Bengaluru gives you the advantage of being at home and at the same time enables you to enjoy all the real pleasures of a luxury hotel. We facilitate a comfortable and peaceful stay in a cost effective manner so that our customers get utmost satisfaction for the money they invest. 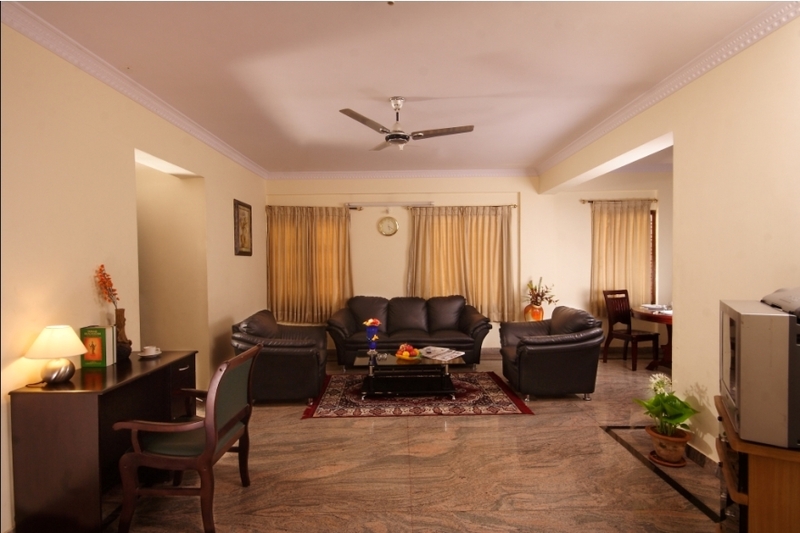 Homestay Serviced Apartments are conveniently located in Bangalore with only about a 30 minutes drive from the Airport. 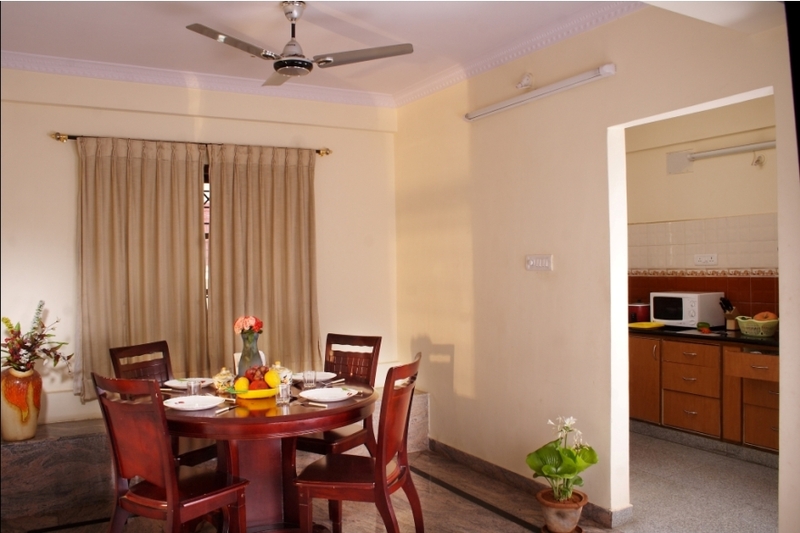 Our Bangalore Service Apartments in Jayanagar and J.P.Nagar ensure convenience, easy access and are very close to the software Hub of Bangalore. Reception is open 24hrs for you convenience. Property manager and security are available 24 hrs. Staffed for daily house keeping and available anytime on request for special request and room service. Don't worry your checkout time is when you checked in. All our bedroom are Air conditioned, cool a bit in the warm weather. 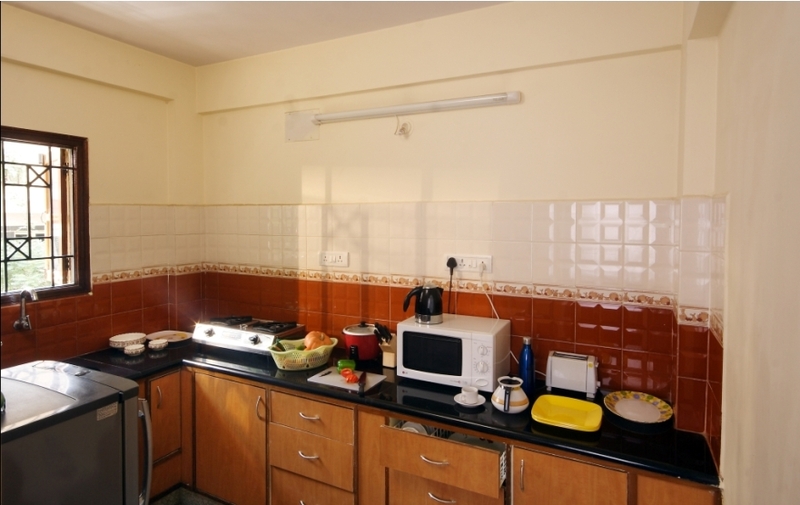 Kitchen fully equipped with coking utensils, stove, gas, refrigerator, microwave, mineral water. High speed wireless internet connection to all available to all apartments. We do have ethernet connections also. We have television in living room and bedrooms with Cable TV and options available to add more packages. We can help with you local travel need like airport transfer, car rental or local guided tours. We have a high capacity power backup generator to keep cool and entertained. Apartment was clean and spacious with 24hrs Hot water. Awesome place to stay with a large family all of us fit under one roof. Management if friendly to accept additional guests. We stayed here for one month when were visiting Jayadeva hospital. Apartment has a good equipped kitchen, my mother requested additional vessels and pressure cooker manager arranged them for us in day.